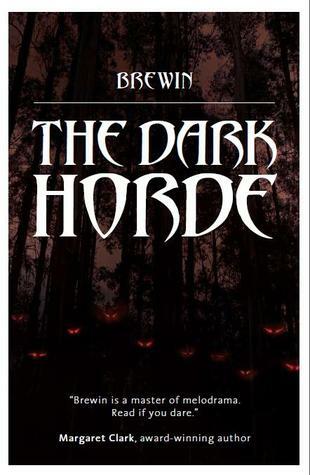 Part thriller, part crime-fiction, all supernatural horror, The Dark Horde tells of the return of an ancient evil that is neither stoppable nor comprehensible. This book is a ride from start to finish. There is no let up in between and the niceties of wasting a large body of text on character and plot development are foregone. This suits me just fine as it immerses the reader from the beginning. This is not to say that we don't learn anything about the character and plot as we go along. In fact it's quite the opposite but only giving you glimpses into the flawed nature of many of the books central characters, Brewin' has pulled a master stroke in that he tells you just enough about them to get you interested in them and leaves a lot to the imagination. A rare example of horror that is well-written , fun but also genuinely scary. Characters in the Dark Horde tap into all developmental stages of fear- from the childhood fear of monsters, to the desperate violence of adolescent rage against bullies, and then on to the disconcerting aimlessness of being twentysomething, and the full on existential ennui of a midlife crisis. In each character, the Dark Horde find that fear, breathe through out and bring it to life in the most confronting and genuinely scary ways imaginable. From the opening page to the horror driven end, this story had me riveted. I became a part of it. Brewin is a master at making you afraid of the dark. I suggest you sleep with a flashlight!